1983, the realization of the photocatalytic halogenated aromatic carboxyl synthesis reaction started the researching in photocatalysis of organic synthesis. Then, as the photocatalysis in organic synthesis has attracted more and more attention, the application of photocatalytic selective organic synthesis is also carried out in succession. 6. After repeated use, some photocatalyst still has the very stable catalytic activity of synthetic organic. 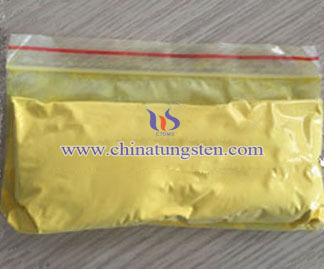 Formic acid (chemical formula HCOOH) and methyl formate (HCOOCH3) are the important chemical raw materials, and they are widely used in many fields of organic synthesis, the preparation of dyes, printing and dyeing materials, medicines and so on. Nowadays, the widely used in industry for preparing formic acid is sodium formate method; at the same time, CO and water can also be used in the production. 4. Organic as photosensitizer, and the metal composite as a catalyst. WO3 as a semiconductor photocatalyst has band gap of 2.4eV ~ 2.8eV, which means the wider absorption band of light, and can respond to visible light, thereby it is considered a good photocatalytic material which is alternative to titanium dioxide photocatalyst. 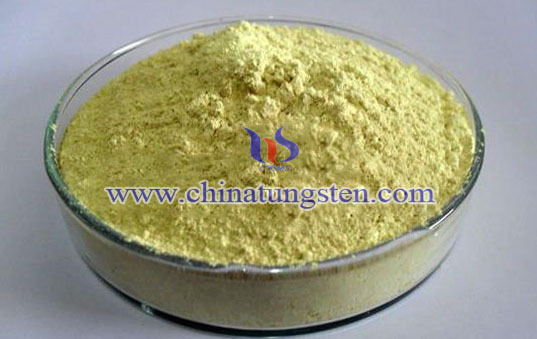 In recent years, the photocatalytic properties of WO3 are in the ongoing research, especially WO3 ultrafine powder has broad prospects in catalytic field.